A report prepared for the European Commission has questioned the economic viability of plans to build a huge gas pipeline between Spain and France designed to boost security of supply in Europe, five sources told Reuters. 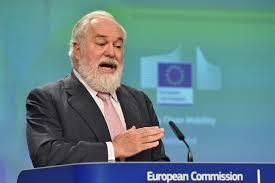 French gas grid Terega, owned by Italy’s Snam, and Spain’s Enagas want to invest in the project, which has strong support from European Union Climate Commissioner Miguel Arias Canete, a Spanish national. But the project has faced opposition from French energy regulator CRE, who says Midcat would push up consumer prices without improving security. French gas network firm Engie-owned GRTgaz also questions the need for the pipeline. It said it would only achieve “financially viability … in scenarios with a tight LNG market”. The study says the 120-km (75-mile) STEP pipeline across the Pyrenees – the first and central part of the broader Midcat project – would only be viable if LNG prices over a long period remained significantly higher than pipeline gas prices. Specialists say that is unlikely. The report, seen by Reuters, will be the basis for a Commission discussion on Wednesday of priority EU infrastructure plans termed Projects of Common Interest (PCI). The Commission has declined requests to release the report, citing commercial confidentiality, and did not respond to a request for comment. Poyry declined to comment. Terega infrastructure director Michel Boche said the STEP pipeline would cost 442 million euros of which 290 million for Terega and 152 million for Enagas. The firms have sent an investment proposal to the CRE. In October they will present the case to the European Union, which could provide subsidies of up to 50 percent. Regulated network operators typically earn around a 5.5 percent return on their asset base on such projects. Boche said the expected flow would be mainly from France to Spain but the interconnector would be reversible in case of need. Last winter, gas flowed from Spain to France only about two days, to boost Britain’s gas supplies during a cold spell. Many experts question the need for another interconnector, saying that existing cross-Pyrenees pipelines are already underutilized, even during periods of high demand. The project has attracted critics. “The Midcat project is not coherent with the EU’s climate commitments and its promises to reduce reliance on fossil energy,” said Michele Rivasi, a French member of the European Parliament. Friends of the Earth Europe’s Antoine Simon said STEP was designed as a precursor to a bigger 3 billion euro investment in the Midcat pipeline across France and the Iberian peninsula. “STEP is a reasonable project that responds to the desire of the heads of state of France, Spain and Portugal to strengthen our gas interconnections and boost security of supply in Europe,” Terega’s Boche said. Spanish European MP Xabier Benito Ziluaga said Midcat made no economic sense and that Madrid backed the plan to support its gas industry. “It is a project based on private interests, not on public interest or objective evidence,” he said.